While in school, Drake dedicated time pursuing an apprenticeship position at both Dark Horse Pottery and Santa Cruz Pottery. In 2013, he graduated from the University of California and became a full-time production potter at Dark Horse Pottery and Santa Cruz Pottery. 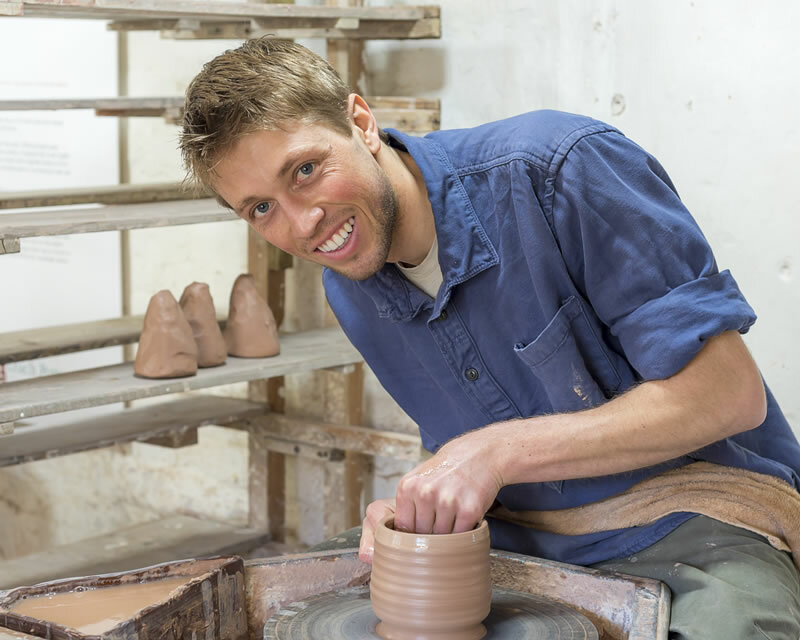 From October 2014 to April 2015, Drake worked as a Volunteer Potter at the Leach Pottery. Drake’s utilitarian pottery is a product of his personal experience in and out of the ceramic world, relating to his production roles in Santa Cruz and St Ives as well as traveling the globe in search of wonderment and beauty. He founded Pacific Stone Pottery in 2017 with the commitment to connecting people with handmade pottery and farm-fresh food. Pacific Stone Pottery specializes in crafting handmade pottery for the home and table and serves local businesses and communities in Santa Cruz County.